Of late, LeBron James' scoring exploits have been grabbing headlines left, right and center. His total of 748 points in 22 games is lower only than Michael Jordan's total of 759 in the 1992 playoffs. His 51-point outing in Game 1 of the NBA Finals was the first 50-point game of his playoff career, and caused us to scurry to the record books to check out other such dominant scoring games. As a result, we took a look at the Association's best scoring outings, and the list we ended up with prominently features a big man whose career can pretty much be summed up as the NBA record book. We count down to the number 1 spot on this list, which obviously features Wilt Chamberlain's 100-point game, but also has performances from other Hall of Fame caliber players. 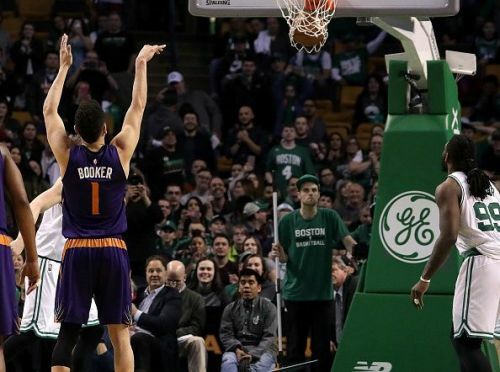 The sophomore shooting guard was the lone bright spot for the Phoenix Suns in a season which was spent in the doldrums of the lottery. The Suns have messed up a number of rebuilding attempts over this decade ever since offloading Steve Nash to the Lakers in exchange for a draft pick that they traded away. But they would be thanking their lucky stars for picking the 21-year-old, who is primed for a perennial All-Star status career. He announced his arrival on the big stage during the course of the 2016-2017 season, as coach Earl Watson gave him the greenest of green lights to shoot during a tanking season. This game is exhibit A as proof for the notion, as the Celtics surged to an unassailable lead in the third quarter. Booker had 42 points by the end of this period. The green light he had helped him treat the shamrock green support that had flocked to the TD Garden to a scintillating 28-point fourth quarter. Most of his shots came off perimeter jump shots, but he also converted an elite total of 24 free throws on 26 attempts. The Warriors teams that Wilt Chamberlain played in during the early 1960s were not great units in comparison to the rest of the league. If not for the 7'2" behemoth's presence on the court, they would be bottom-feeders for every single season that he played with them. Much of the evidence for this notion came from games like this. You can't ask a player to contribute more than 70 points on 71% shooting from the field and 73% from the charity stripe. 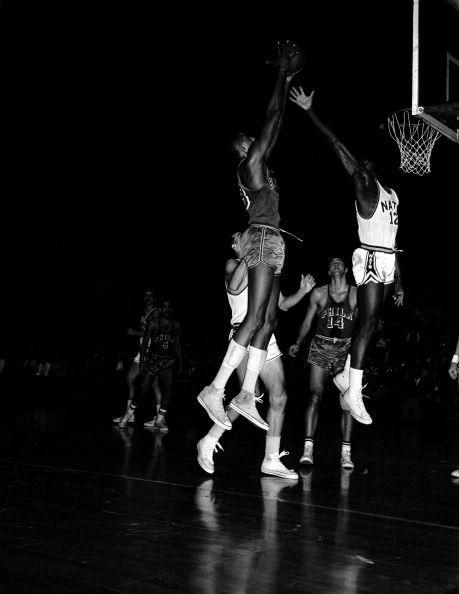 Yet, the superior Syracuse team found ways to put the ball into the hoop with much greater frequency that Wilt's Warriors team. In the end, a 148-163 loss looks like a blowout on the face of it, but it could have been a loss of mammoth proportions for the Warriors if not for the transcendent play of their star and the league's most dominant individual. Most points in NBA history: Who can surpass Kareem Abdul-Jabbar?